A Startup is nothing more than the business problem it solves. By a few founders or just one, a startup calls for some handsome investments in the form of a sweat, perseverance and uncounted hard work. Startups work hard on the differentiators entailed them. This is a basket of ideas that they superimpose on a product or service. Once there was a time when the target customers would happily suffice with an engaging website, now the mobile centric world has brought down the crux to free business apps for the customers. Yes, there are some other conventional sources are definitely counted to grow the business, but it is a must for every startup to find the best business app suitably. However, with the advent of developing technologies, corporates are now evolving around new domains to capture every hook and corner of consumers’ attention to build a sustainable market for their products and services. With increasing usage of mobile phones or rather smartphones by consumers (and customers, and there is a difference between the two), it has become a new age lane of competition to improve the customer experience right from the word go. While the product still gains the primary attention, neuroscience dwells over the customer experience largely; al taken care by the right business app for your startup. It takes more than just straight efforts to gain a good ROI off your startup initially, something which should have a fresh perspective to deal and penetrate in consumers’ market, i.e., through mobile apps for your business. Even though consumers may find websites for all conveniences but only to a limited extent, so the startups have to take an extra mile to build their brand among people; effectively possible with a smart freemuim business apps. These apps help consumers to grab all the information about the product and service being offered and also play an excellent marketing tool for startups. Some may be free of charge; some may be the top apps however charged for the same depending upon the business offered by the startup. Reasons why not having business apps can be fatal for a startup? Even if a startup does carry an excellent website on the front, but it may not be available to customers every time just for the reason that they are more reachable through their smartphones. It takes an extra but of time to scroll through websites or some other source for a finding of the product or service. Customers always want to reach for their products or services at a single click, to say. Your website may be too good to offer what your customers need but there are specific lags just for the simple reason. They may not go on spending time on those large websites now and then when they are in need of something badly. As a startup, it critical to compete with the existing competitors. With increasing awareness among the consumers, they want to have their needs fulfilled in the most innovative ways entailed with a rich customer experience through mobile business apps. It is interesting to note that not all startups happen to work through business apps for customers, so if yours is a go-getter, then your startup business should give you a leap forward than others in the competition. Brand- An app can create brand awareness about your business, your products and services and all other information that customers want to know. Or the other way round, not having the app can instil low confidence on the part of the customers. They may not be having the kind of brand awareness which you think your business will inculcate in their minds through your business’ website. Recognition- You may not get correct statistics about the visits on your business profile and offerings through the The gold of the digital age, ‘data’ is best procured through a business app. Consider yourself to be in the place of a customer and imagine going back home from work, and you come across some banners and hoardings at one go, or let’s say five to six brands. So what’s next? You may notice just two or three of them to the maximum or even none at all. Here the point proves itself. You being an entrepreneur of a startup and adopt any such kind of channel to grasp the flickering eye of your customers; I guess you will have the same reaction just like you gave in the above example. Any mode of marketing can be fruitful for your startup but to have the edge over others, something more needs to be done to be in constant touch with your customers. Hope that was a good insight about the repercussions of not having the business apps for customers. One can confidently conclude that for doing business through a startup irrespective of the area or region or the kind of product or service you offer, if you want to survive and prosper in today’s corporate world, linking your business through business or mobile apps with your customers will be way to generate revenue for the startup. Creating some of the best apps for your business will help your startup to get a smooth yet running path to beat the heat in the ever growing market. Mobile health audience the world over has been increasing – Healthcare app development companies play a crucial role in this! As is common in any industry in the contemporary world, mobile apps have taken the medical industry also by storm. With great advancement in mobile technology, mobile platforms are redefining the health care industry completely, altering the erstwhile traditional relationship between patients and physicians. Mobile Health, the practice of medicine and public health by using mobile devices, has acquired a niche among innovative health information technologies. A large number of mobile apps have been developed exclusively for the health care industry – the number is increasing! Necessity of quick and convenient access to information is the primary factor that drives health care mobile app development on a large scale. Not surprisingly, health care professionals as well as patients welcome this innovative technology, sine the value of time is not associated with money here, but with patients’ lives. Mobility solutions help doctors, hospitals, clinics, and other medical entities to enhance their efficiency and productivity. Physician efficiency is enhanced: High performance by physicians is the most vital factor in an efficient health care system. Mobile apps enable automation of routine processes, thus relieving doctors from dreary administrative and data entry tasks. Dataflow can be rendered seamless: Health care system proves to be a complex network involving the participation of different professionals from various fields. Technology has ensured that the data flow among providers and patients is continuous and that the data network conforms to HIPAA. Diagnostic accuracy is increased: Replacing traditional ways of medical records management, mobile solutions not only eliminate the use of paper but also increase accuracy of information. Errors are considerably reduced. Point of care coordination is improved: Mobile apps pave the path for better coordination among medical professionals and patients, thus eliminating prescription errors. Mobile apps facilitate monitoring medicine’s effects and providing direct remedies. Customized health care app development helps health care providers and medical facilities to deliver quality health care, connect with patients at any time, achieve better patient interaction, and enhance their work flow. From the patients’ perspective, direct connectivity, convenient approach during the period of illness, and the ability to attain easy and quick solutions for their medical issues are the key benefits of health care apps. Most people think of branding in terms of graphic elements and logos, but it goes way beyond that. Whenever you think about your company brand, you should think about the complete customer experience. This takes into consideration the logo, website, social media pages, mobile apps, how phones are answered, and how customers experience your personnel. Branding is really the customer’s perception of you. As a company, you need to be conscious of the brand experience your customers have and to also create a plan for the kind of experience you would rather they have. It doesn’t happen by itself. 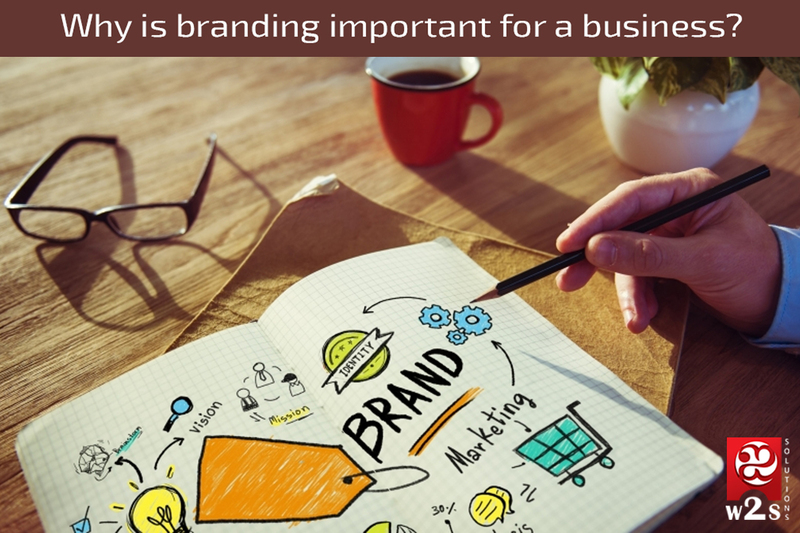 A good brand is something that is thought out and results from a strategic plan. 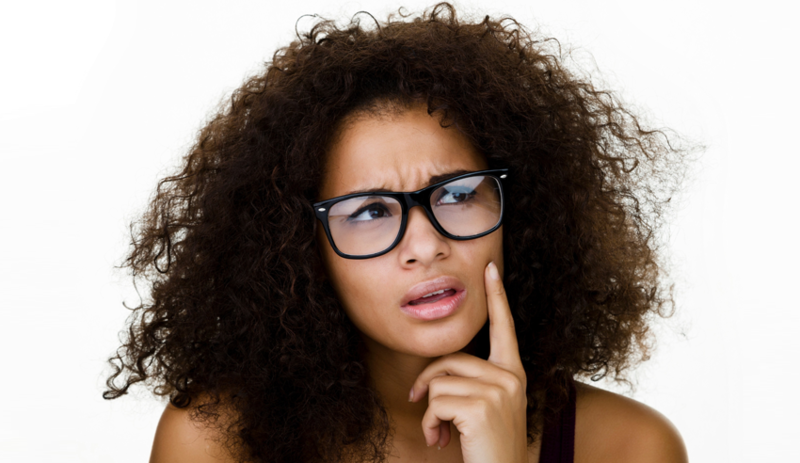 It promotes recognition – It needs to be easy to recognize and consistent because people tend to do business with companies that are familiar to them. It gives you a unique quality so that you stand apart from your competitors. It tells potential clients what kind of business you are. As such, all your visual elements and other components should be telling your story the right way. It provides direction and motivation to your employees. The right strategy will tell your staff how they should act, give them a winning strategy and guide them on meeting your goals as an organization. It generates referrals. People will talk about the brands they enjoy or like. They eat brands, wear brands and talk brands. Referrals will come if you have a strong brand. With a strong brand, clients will know just what they should expect whenever they experience it. Your brand communicates the promise you have made to your clients. Your marketing materials, staff and you are part of the brand. With a brand, you are clearer and can stay focused to the plans and goals that you started with. It will keep your eye on the vision and mission of the organization. It also offers guidance for your marketing efforts, which saves you both money and time. Your brand, if it is a good one, will create an emotional connection with your customers. They will feel good about purchasing the brand. 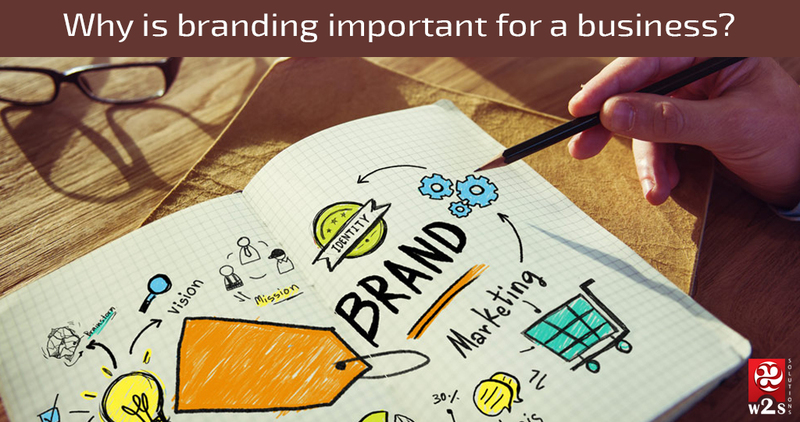 With a brand that is strong, you will create value in the organization that is not just based on physical assets. Most big brands are valued at far above their physical value because of their brand. 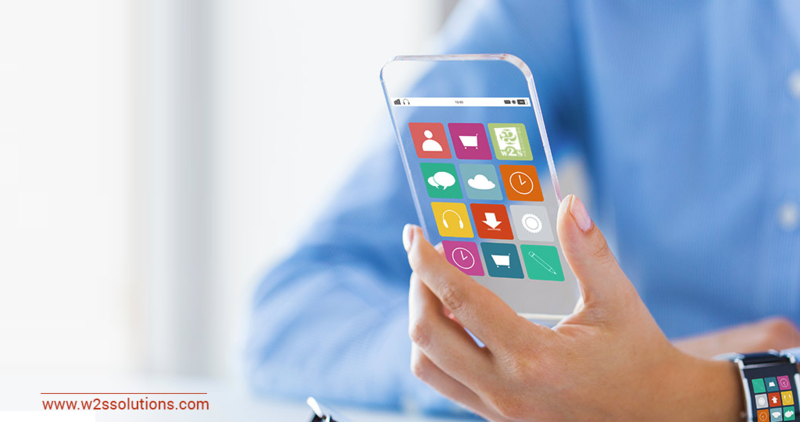 Native Apps – If you cannot decide on a mobility framework for your business needs, then you should consider having an App developed just for you. You get to determine the solutions you want, their design, their development and their deployment. Native apps can be developed for iPhones, iPads, Android and Windows. Cross Platform Apps – Frameworks used include Cordova, Adobe, Phonegap, and HTML5 among others. In order to decide whether a hybrid app is the best for you, the following factors need to be considered: User experience, performance and accessibility of device hardware. These apps can be deployed in BlackBerry, Windows, Google Play Store, Apple App Store and more. Web App Development – Innovative web solutions that are data driven. Confident-dental.com – This website is crisp and clean giving the feel of a professional dental clinic that is concerned with cleanliness and hygiene. It is easy to navigate with clear contact information. Precision-scientific.com – This website perfectly merges information about the company with a sales platform. One can easily purchase lab instruments, glass wear and lab chemicals because they are easy to find. Fastpayee.com– This app is easy to work with and allows SMEs to manage their customers, receivables, and invoices on the spot. The app is clean and not cluttered and you can download your invoice in PDF format or send it via email. Thelostpaper.com–This app allows you to create checklists and forms and distribute them quickly. This comes with reporting outputs and is easy to track. It is great for maintenance and asset management. Mspaapp.com – This app is a great way to book your spa or salon appointment. The app is clean and easy to use. Need to build a branding site or an app ? Contact W2S Solutions today! Have you been wondering which platform to build your app on? Whether your business is a startup or an already established brand, it is important to look at the best mobile app development technology before launching your app. If you are keen enough, you will notice than while the mobile app development environment is highly competitive iOS apps remain the most popular for all types of users. From Facebook, YouTube, Twitter, Find my iPhone, Instagram, iTunes, Badoo, to LINE iOS, apps dominate the mobile app landscape. If you are an avoid iPhone and iPad user, you will already have noted that these are among the most popular apps on these devices. They rank highly not only in terms of usage but also revenue. Indeed, most of these apps also rule the rest of the mobile app landscape. If you are struggling between iOS and Android app development, it is important to talk to an experienced mobile apps development company. These experts will help demystify the mobile development platforms while also providing the necessary expertise and resources to build a highly functional iPhone or iPad app. The numbers tell it all; currently, there are over 1.2 billion apps on the Apple App store and the number keeps growing. Why go for iPhone and iPad Mobile app Development? The fact that over 37% of mobile visits are now coming from mobile makes it necessary to have a mobile app that will tap into these growing user numbers. To leverage these numbers, you need an app that is developed and supported using the best technology. This is one reason iPhone and iPad mobile development remains popular even against an onslaught from other mobile app platforms. Whether you are a mobile app developer or a business owner looking for a high performance mobile app, it is important to leverage the increasing number of users on mobile. More paying customers: Apple offers an image of quality and trust and this is something customers are willing to pay extra money. It is no wonder then that iOS apps account for 90% of total dollars spent on mobile apps. Better user experience: For a mobile app to attain its objectives, it must guarantee a good user experience. The regulated environment on Apple’s mobile development platform always receives praise from users due to the easy to use interface. This leads to higher sales. Easy coding: There are state-of-the-art features on Xcode, which is Apple’s integrated app development environment. From the graphical interface builder, compiler-aware source editor, to syntax-aware editor, these tools allow easy coding; a dream for every app developer. The Apple brand name: The mention of Apple in the IT industrygives confidence to users. The computing hardware and software company is renowned for its high quality products and business solutions. From iPhones, tablets, wearables to high quality app development, consumers already trust this company’s solutions. Your app will thus ride on the back of such creditworthiness. 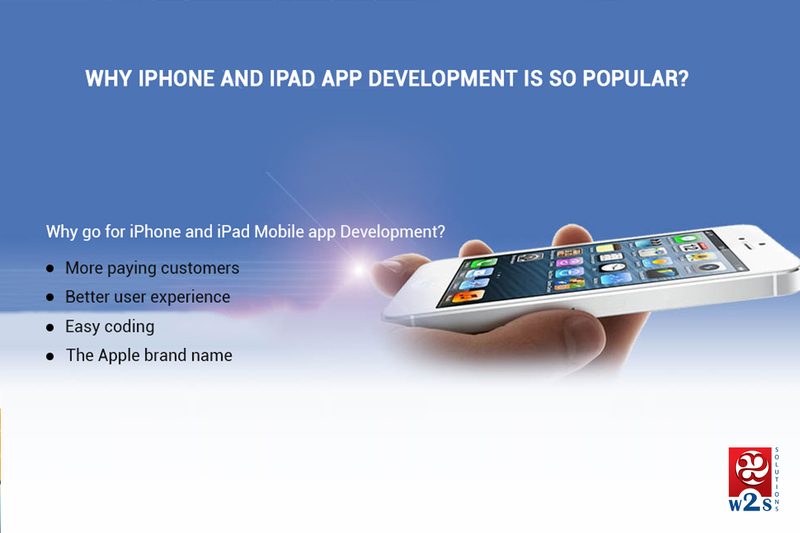 There are many other reasons making iPad and iPhone mobile app development so popular. Consider the versatility of apps, security of firmware and software, high scalability and you appreciate why iOS apps reign in the industry. 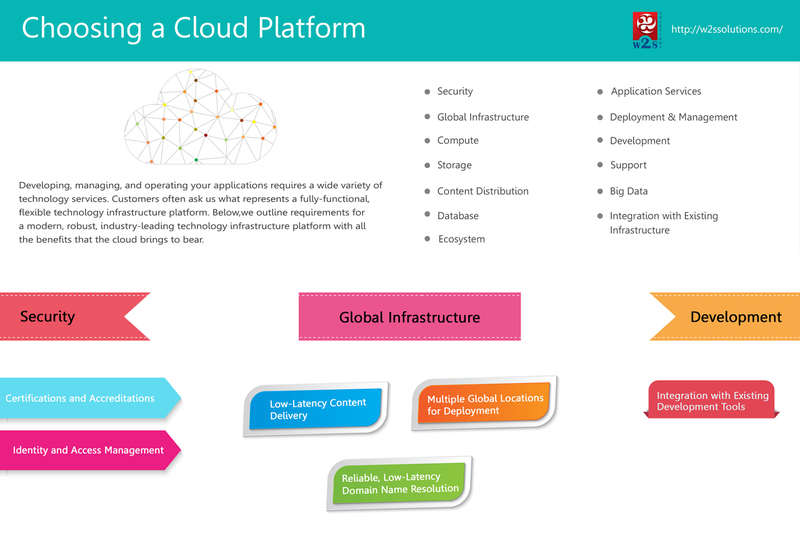 Chosoing a cloud platform is based on business needs. If its a Startup Venture or a Multi national corporate, identifying a perform platform is necessary. If initial requirement is not well analyzed, this could go wrong in any direction. 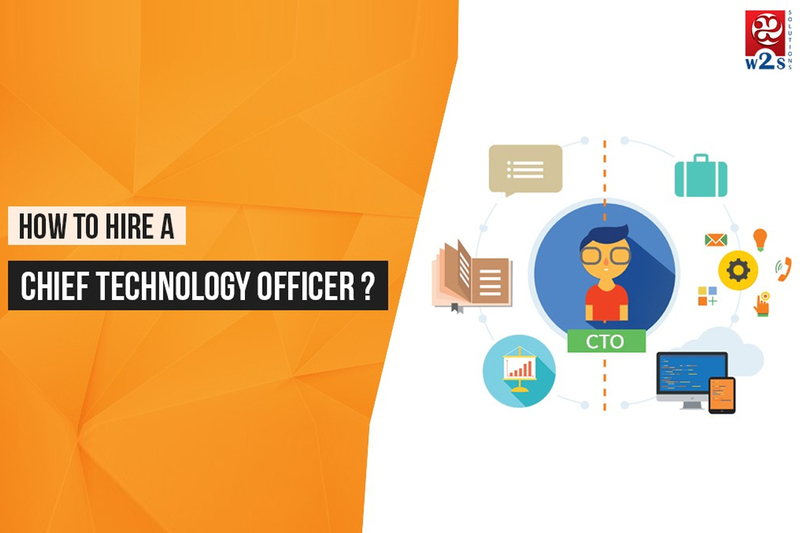 Since Cloud is connected with IT budget, Founders and CEOs should plan their IT spending for an year and that will help CTO’s or Technology partners to choose a specific platform. Security concerns of cloud was a history now as everyone’s data resides in cloud. 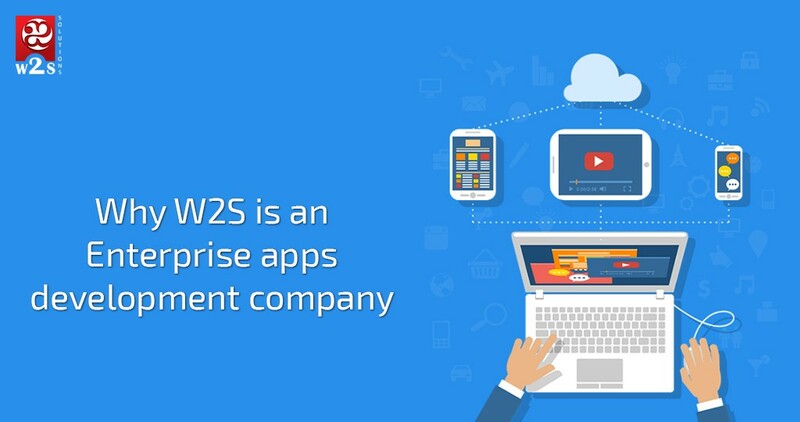 As a Technology partner, W2S solutions helps Its customers to choose a perfect Cloud platform for their business. Staying competitive in the contemporary modern landscape is getting tougher by the day. With the advent of internet marketing, businesses now have to compete at a global level. However, there are also many opportunities to be harnessed from internet technology especially due to the big market. To stay ahead of the pack in your niche, you need to leverage the mobile internet users. Already, Google says mobile internet traffic has already surpassed desktop traffic and your business must have a solid strategy and one place to start is by developing a mobile app. Over 80% of Smartphone users say they spend most of their time on mobile apps. With a mobile app for your brand, you are able to quickly connect with your target customers. A mobile app places your brand in front of a customer’s eye, making it more likely for them to convert. It is important to hire an app developer who is well versed in cross-platforms or android apps development to ensure you leverage the increasing numbers of mobile internet users. 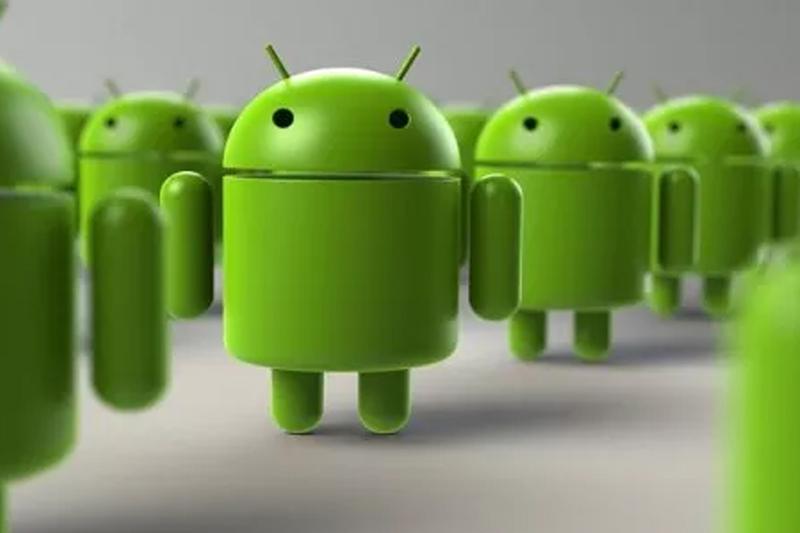 Whether you are developing an Android, Windows or iOS app, you should rely on a developer who understands the guidelines on each of these platforms. These experts also help make improvements over time. Before hiring the mobile app developer, you should have an idea of the people who will be using your app. This information will help in the development stages and the developer expects you to have an idea of the same. To know your audience, create personas about them and then identify their demographics, preferences, shopping habits among other traits. With such a profile, it becomes easier to tell the developer what type of mobile app you need. There are many individuals who advertise their services as expert developers but they have no portfolio to prove themselves. As such, take time to understand the type of developer you are working with by asking for references. Look at the apps they have built for other clients especially those in your niche and evaluate their quality and functionality. Ask which operating system they are well versed in and their UI/UX skills to determine whether they can efficiently work on the mobile app you want. Before hiring a mobile app developer, it is always advisable to get a several quotes before finally choosing one. You should ask for the type of billing, which can be for the total project or in hourly basis. The contract should delineate very cost involved including cost of revision after launch, customization costs, security and upgrade costs, maintenance costs, agreement cancelation costs and any other costs that are expected. This helps you budget in advance. The person you hire to develop your app should be easy to work with. They should easily bond with your in-house team and easily communicate the strategies they are going to use. A strong working relationship means ideas are shared openly and through brainstorming, it becomes easier to come up with a better mobile app. When there is trust between both parties, there is more productivity during the project. The internet market is volatile and there are rapid changes emerging every day. As such, you have to develop an app that can easily accommodate more changes and the developer is in a position to help with this. More importantly, ask your mobile developer about the possibility of upgrading and tweaking the design if need be and the cost involved in such a project. Well, there are other factors to consider before hiring a mobile apps development company including their flexibility, innovative capacity, ability to monetize, type of testing the developer proposes, post-development services and user experience. All these factors help you to hire the right person for the job and you should make sure to get a clarification on each in order to find the best expert. Tools play an important role in building a vision to an App. We found a great article in AppInstitute and Its highlighted here the best tools to be used. We call them as App life cycle: App Analysis – UX Design – Development and Testing and Analytics. It’s explained in detail in our Traditional development approach will not work and mobile App development requires a unique development approach. This Infographics provides the best tools available in the market. If you are using any of these, Let us know your thoughts. There are currently more than 1.9 billion smartphone users worldwide. This number is set to increase to over 6.1 billion globally by 2020. It is therefore not difficult to understand why more people are relying on mobile devices to access information on the internet. According to Stat Counter Global Stats, the use of mobile devices to access the internet has already surpassed desktop usage. The research company found that slightly over 51% of internet use was over mobile devices in October 2016. If you’re selling a product or service and haven’t developed an online strategy for mobile, you’re missing out on a large segment of your target market. Having a mobile app makes you more accessible to your customers. However, not just any app will do. There are currently more than 2.2 million apps on Google Play and over 2 million on Apple’s App Store. Other popular platforms such as Amazon App store and Blackberry World also feature over 200,000 apps each. Only a few of these apps are successful with their target audience. It doesn’t matter whether your app is the pretty packs thousands of features. The bottom line is that it should meet your customers’ needs. This is the reason W2S Solutions enterprise apps are so successful. They are designed with the end users in mind. It can be hard finding a suitable spa in your area. Making appointments at your favorite spa can also be a tedious and time consuming process. No one wants to be put on hold while making a call or have to wait in line for the next available message therapist. mSpa makes it easier for customers to interact with Spas. The app is designed to help spa owners and customers interact more easily. Customers can book appointments online in a matter of seconds. Spa owners also get the opportunity to showcase what they have to offer by providing details on their services, offers, location and other information. This app was designed with the end users in mind i.e. spa owners and customers. Making an app that meets the needs of customers requires an in depth understanding of the industry and the customers. 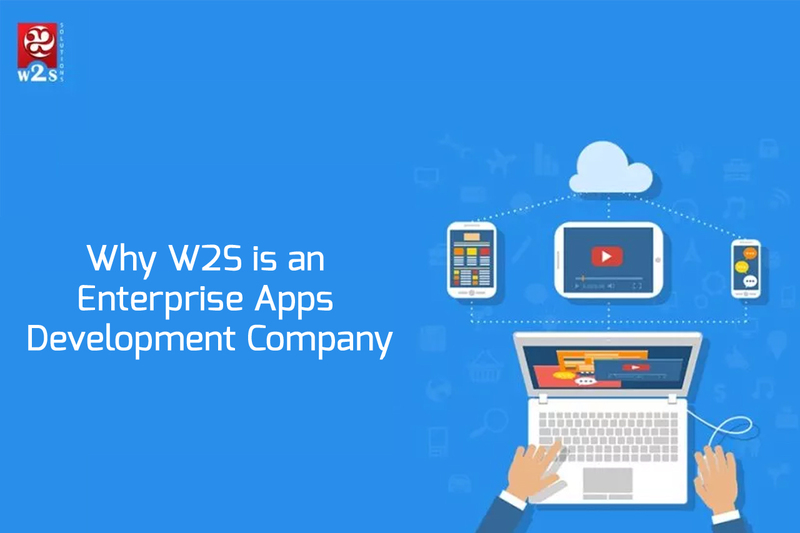 W2S developers rely on the assistance of industry experts throughout the development of the apps. My HSA is a great example of collaboration between industry experts and developers. The app makes it easy for brokers, providers, MGAS and TPAs to create online platforms through which employees can make claims. The solution is SaaS based. Its user friendly interface helps users overcome the difficulty of using traditional software. Technology keeps changing and it’s important to keep up with the times. The W2S team keeps on top of technological trends to ensure that users are provided with the best experience possible. Goodpin is a great example of an app that was developed using state-of-the-art technology. The app is designed to allow people to make charitable donations online. The app detects the donor’s current location and provides them with a list of promotions and charities nearby. Users can make payments to the charity of their choice via the Stripe payment gateway. The app also features social media integrations. It is important to work with a team that can help your target market with a unique approach to meeting their needs. W2S’s team will help you do just that. The team will provide you with innovative solutions for everyday tasks. Airsheets is an app that exemplifies innovation. The W2S team reinvented accounting and timesheet software for It’s Calgary based customer. The tool is designed to help corporates manage projects, clients, financials and employees more effectively. 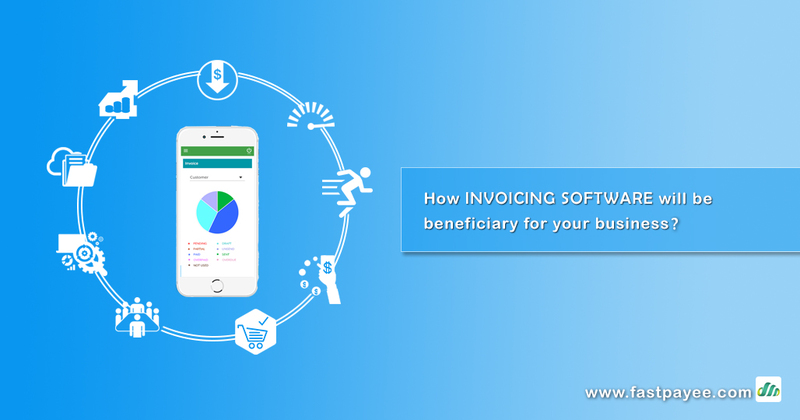 Employees can easily enter their timesheets and clients can invoice for the timesheets. There are no backlogs with this app. When developing a solution, it’s important to consider the future of the company. It’s therefore important to cater for changes such as growth. The W2S team takes all these factors into consideration. The Card 2 Contact app is a great example of this. The app allows of better business collaboration. It also enables businesses to identify leads and areas for growth. The app is flexible enough to grow with businesses making it ideal for startups and more established companies. Everyone is going digital nowadays and if your enterprise still deals with Jobs, paper based forms, you will have to check The Lost Paper. 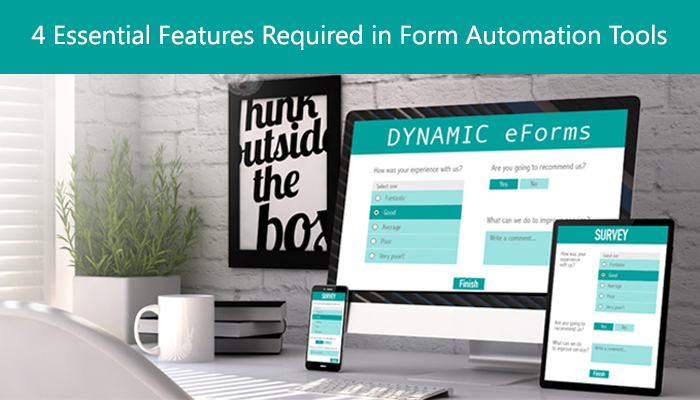 It’s a web and iPad App designed by W2S Solutions, It helps Small and Medium Enterprises to convert all their forms into digital by designing it from Web and access from App immediately. As a Technology partner, W2S Solutions envisioned the future in this project and the app is capable to manage employees, jobs, and dynamic forms, capture Geo location, Reporting and data analysis. The right enterprise apps development company is able to meet your needs as well as those of your target audience. Take your time to compare what different companies offer to make an informed choice.